"Okay Google. Talk to Budget Penny." Last month, Jomar and I had been working closely in building another financial-related application to help people manage their money. We created Budget Penny. I have an every payday salary. Every payday, I know how much I should expect in my bank account, how much is budgeted for each expense, and how much I should have left. I usually spend 5-10 minutes a day, tracking how much money I have left and whether I saved a few dollars out of my allocated funds for the day. With this idea, Penny was born. Jomar wanted to play around Actions on Google and he asked me to think of a possible assistant. Since I would love an assistant to keep track of how much money I have left, a budget assistant was on top of our list. It took us a while to agree on a name (Loonie, Toonie, Centi, among others) but agreed upon Penny. 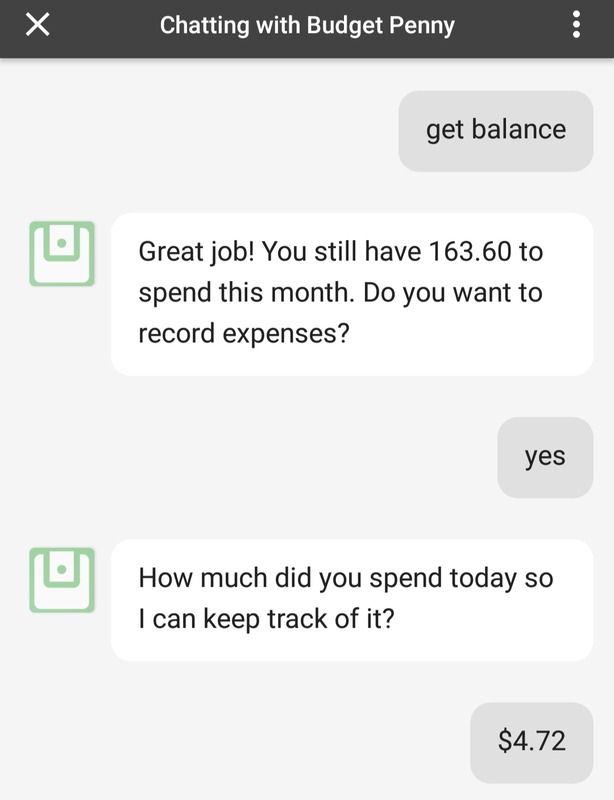 Right now, on this release, you can ask Penny to set a budget (it's monthly by default), set expenses, and get balance. We also did our best in coming up with a Persona for her. On future updates, we hope to create a web app to track everything and expenses categories, flexibility on time (monthly, daily, or weekly), and useful savings tip so that Penny could help you save more. 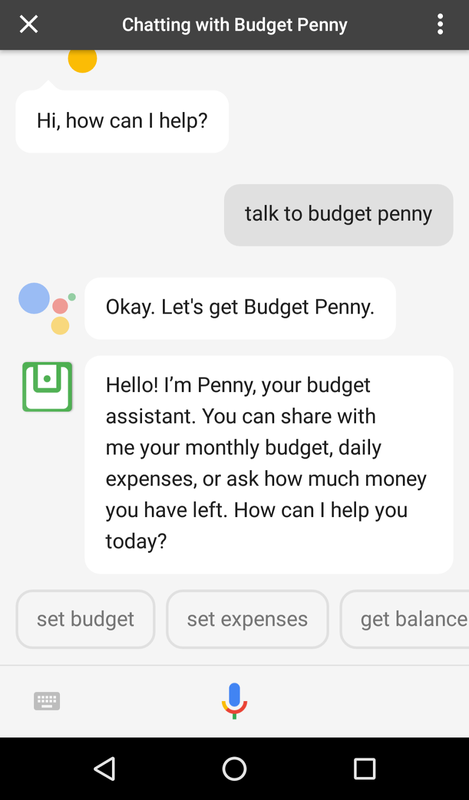 How to access Budget Penny? Talk to your Phone. "Okay Google. Talk to Budget Penny" or if you don't want to talk, you can type in "Talk to Budget Penny"
If it's your first time using the app, don't forget to set a budget! Inform Penny of your expenses. Ask her how much money do you have left. What do you think of Penny? Do you have any feature suggestions on how we could make her better? Please let us know!